Summer can be hard. In case you are not lying on the sunbed and enjoying a good tanning session, the heat is quite unbearable. The ice cream melts into your hand and the level of concentration is sinking with every bead of sweat. But never mind. Instead of freaking out, just take a short break, take a deep breath and let some cold water run over your neck – as long as you cannot take a jump into the lake or the ocean right away. With this in mind, let’s start off this August, which is all about the motto: Take some time. What does time actually mean? You can neither smell it, nor touch it or wrap it up. Nevertheless, time is always around – sometimes it’s too short, sometimes it’s too long. Time flies. Time stands still. It’s quite frustrating. Looking at the dictionary’s definition, the meaning of time gets a bit clearer: “We use time to refer to what is measured in seconds, minutes, hours and years as a whole.” Synonyms are words like phase, era or period. Time seems to have many facets. Morover, time is now, it’s back in the days and it’s the future as well. Regarding the fashion world, all points of time are relevant. They are even blurred together. Designers such as Hussein Chalayan are ahead of their time and simultaneously; labels like Dior raise more awareness for their brand histories by dropping revivals into the market. Also, the trend of fast fashion standards is decreasing – or at least people tend to get more conscious about fair and local production. Things are going into a sustainable direction because if the world moves forward, fashion does as well. So what should we invest our time in this summer? Maybe it’s time to take the final step you have been hesitating about and change something. Maybe it’s time to just take a rest and enjoy some #QualityTime. Apropos hashtags, it might be a pleasant idea to stay away from social media for a while. Whether it’s a few days or a couple of hours. It all comes down to consciousness. This is what time is all about. It’s constantly playing a role in our lives but nevertheless; it’s likely to forget about it. Just think of the synonym “point of time”. It reminds of momentariness. Apparently, this very moment will never happen like this again. So it would be a shame, to miss out on these moments. It’s high time, to enjoy time. We wish you the best time for August 2018! P.S. Since the CARMITIVE Crew is enjoying some holiday time as well, there will be less posts than usual. More frequent updates are to come soon! Posted in Editorial, Fashion & Outfits and tagged Adidas, Dress, Fashion, Inspiration, Lifestyle, Pink, Sneaker, Spring Summer 2018, Summer, Things to love, Trend. Bookmark the permalink. Oh thanks a looot cutie! You are getting better and better <3 super cool combo and what a great edit! 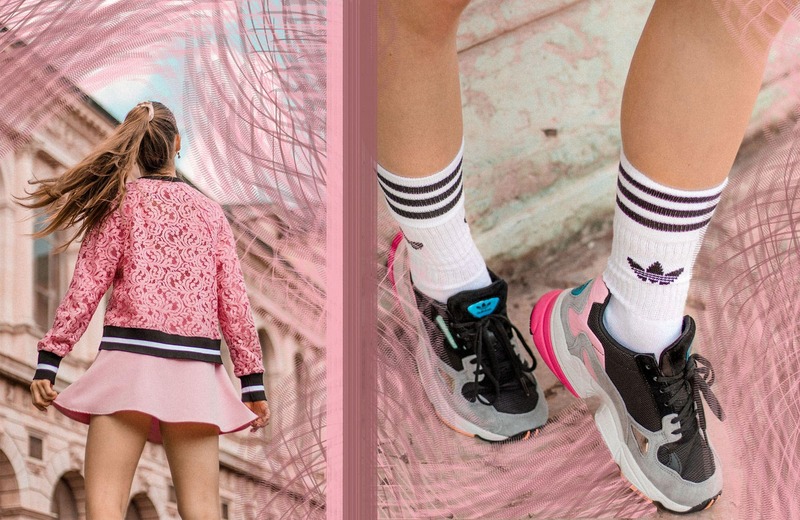 This pink sports inspired look is so fun! Cutestttttt outfit!! Love this pink on pink look!! Time has really been getting away from me lately, so I am loving this post, Carmen! Omg I’m so inlove with your outfit and photos. So lovelyyyy! What a fun outfit!!! 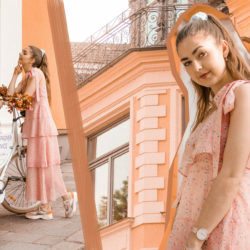 I’m loving all of your editorial posts and how you match the background to your outfits! Oh vielen Dank liebe Emma! This is such a cute outfit, I love all the pink and the details on that top! I agree with everything you’ve mentioned here about time. It’s one thing that we can’t get back and one thing that stops for no one, so it’s imperative that we value it as much as possible. Thanks for the reminder, girl, and I hope you’re having a great week so far! That pink sweater is sooo pretty on you dear! Colors are so cute on you! Great edit babe and the styling is so on point. The pink sweater is so adorable and you look amazing! Oh thank youuu very much Lovely! Was für ein genialer Look, meine liebe Carmen! Rosa steht dir einfach so super und ich find diese sportliche Kombi echt erfrischend anders! Oh vielen lieben Dank meine liebe Sarah-Allegra, das freut mich sehr! You are such an inspirtaion, babe. Can’t believe how fast Carmitive is growing. Getting better and better every day. Love you. Ps. Taking your advice on putting social media side. Oh thank you so so muuuch <3 This feedback means the world to me Veronika! Such a wonderful look Carmen! I just love that lace sweater you’re wearing and love how you styled it! So cool, girly and playful! I need to take some time off desperately by the way! Hope you’re doing great & wishing you a wonderful weekend! Oh thanks a million my dear Stella! This means so much to me, have a wonderful weekend too! Happy weekend Ihr Lieben !